NATO’s Secretary General, Jens Stoltenberg declared today from Brussels that NATO is disappointed by the tariffs introduced by Kosovo’s government on Serbian imports. Stoltenberg has also commented FSK, stressing that this force cannot go to the north without KFOR’s permission. “Several NATO allies are disappointed by the decision to introduce tariffs. 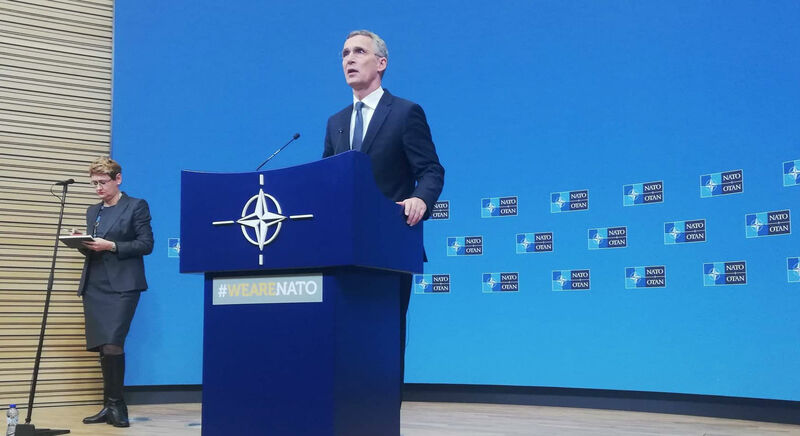 We would also like to see the Brussels agreement be respected and it’s clear that Kosovo’s Security Force cannot go to the north of the country without the permission of the KFOR commander”, Stoltenberg said. Meanwhile, the US has also reacted on the tariffs. The US senior general, Timothy Orr has cancelled his visit to Kosovo due to the tariffs that Kosovo has introduced on Serbian imports and the refusal of the government to scrap them. In November, Kosovo introduced a 100% tax hike on goods coming from Serbia, justifying this tax with the so called aggressive behaviour that Belgrade has manifested against Kosovo’s statehood. Meanwhile, Belgrade has conditioned its decision to resume talks with the removal of the tariffs.